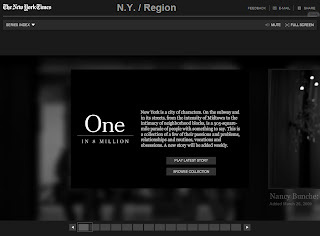 One in 8 million is the New York Times storytelling project. The concept is simple; show New York as a "305-square-mile parade of people, all with something to say". So basically this is a collection of "passions and problems, relationships and routines, vocations and obsessions". Check it out – it’s an absolute must.